Everything about this flick is fresh. 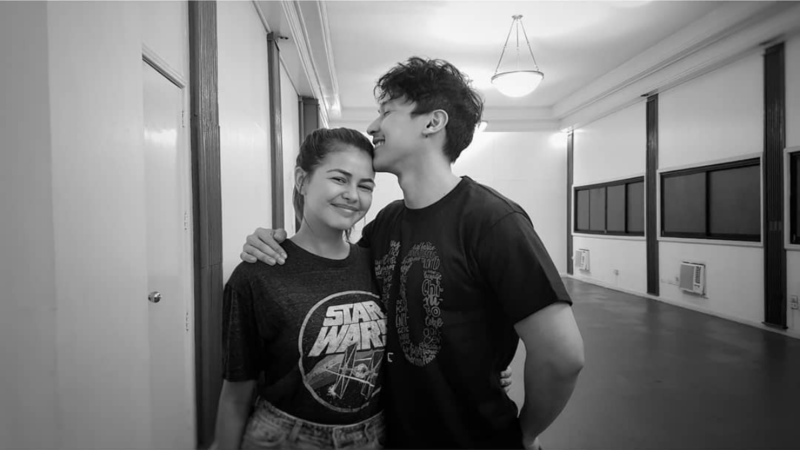 In the list of movies to watch during the month of hearts, rom-com flick Elise starring Enchong Dee and Janine Gutierrez stands out. It is inspired by a true story written by its director Joel Ferrer. It revolves around the kind of love—that everyone would agree is never forgotten: first love. 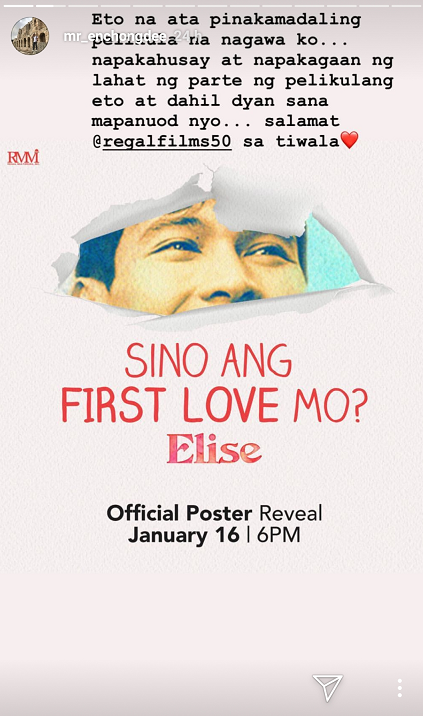 The movie poster of Elise was launched on January 16, 2018. Enchong really enjoyed the working environment in this movie that he shared an appreciation post on his Instagram Stories. Enchong and Janine first teamed up for the movie Lila, an indie horror film which was an entry to the 2016 Sinag Maynila Film Festival. The movie will be out in cinemas on February 6, 2019.